The Signal Control Board will control signals in 4 blocks in 2 directions. Each signal head must be equipped with either 3 lamps or 3 LEDs (Red, Yellow & Green). For more details press the Info button. NO PC Required. 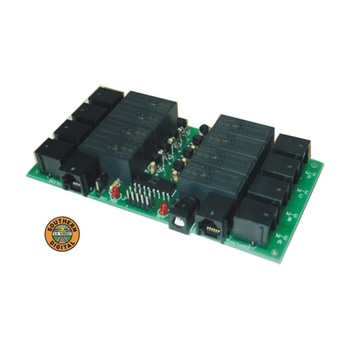 The Signal Links SL4x2 by Southern Digital has been designed to provide Automatic Block Signaling (ABS) for your railroad. NO COMPUTER IS REQUIRED!! The Signal Links is fully assembled and tested. This unit requires track detection (Digitrax BDL-162) and 2 or 3 element signal heads to complete the system. Supports 2 or 3 element signal heads, this means you signal head must have a RED & GREEN or RED, YELLOW and GREEN lamps or LEDs. 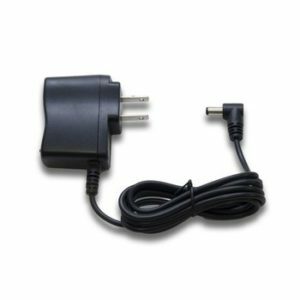 Signal Links will power either 12 volt lamps or LED’s with appropriate resistors (100+ ohms). Six conductor telephone cables are used between the Signal Links board (SL4x2) and the signal. Southern Digital will custom make these cables to length for you. (See Phone Cables below). 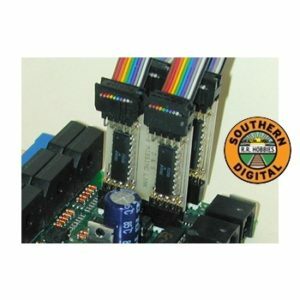 One 10 conductor ribbon cable is required between a Digitrax BDL-168 and the Signal Links board, Southern Digital will custom make these cables to length for you. (See Ribbon Cables below).